Are you gonna make Cop inspired inventory again for this? 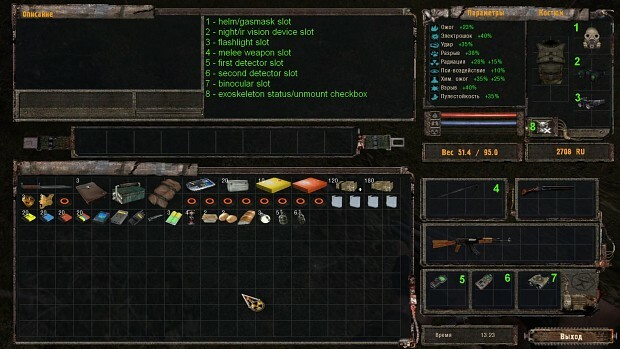 He meant if the COP-looking inventory that is optional for current OGSE, is gonna be made for 0.6.9.3. BTW, great job with this inventory it looks amazing! 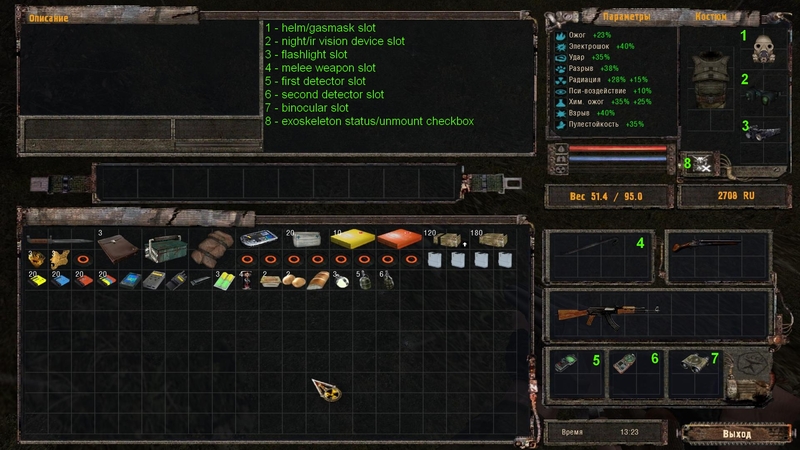 CoP-inspired inventory is a third-party addon that is not supported by OGSE team. It's based on a script system. But what you see in the image is fully engine-level thing, absolutely new. It's not compatible with OGSE 0692R2 and intended only for OGSE 0693. Is the bolt a "detector" now? we can still pick the keybind for it, yes? ok. so different suites offer different number of slots ? and do we still place an artifact in random slots ? suppose i would like to place 4 artifacts and wana use only 4 slots for detectors and melee weapon. possible ?